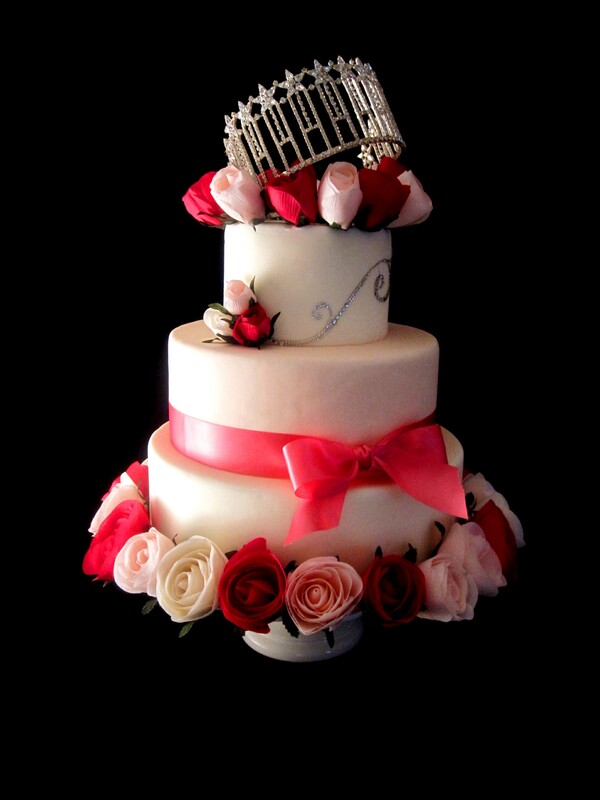 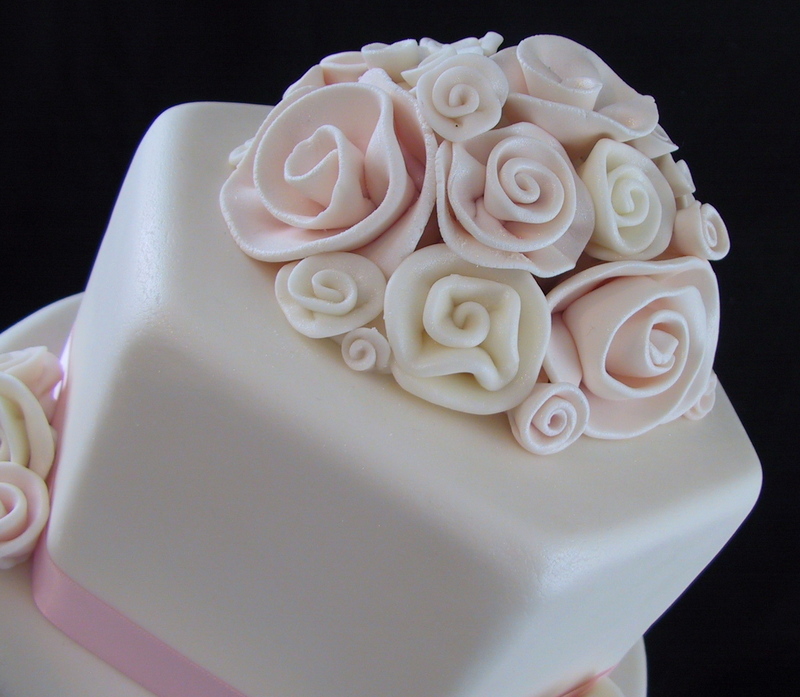 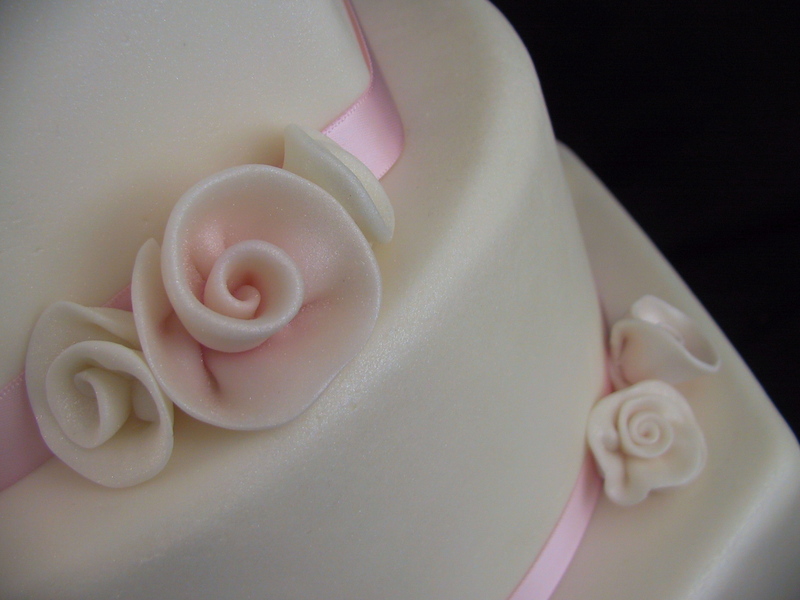 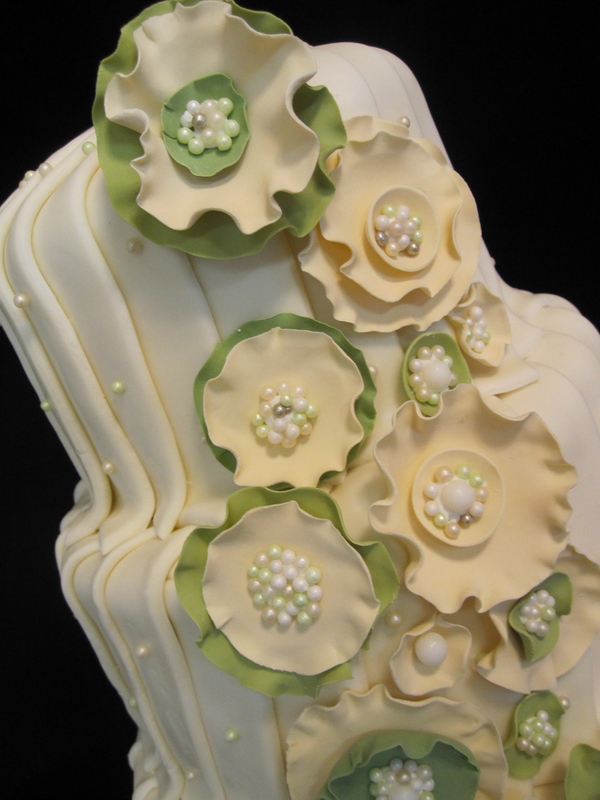 This beautiful soft and feminine fondant rolled rose wedding cake was created for the Lexington Bridal Show on Sunday, September 13, 2009. 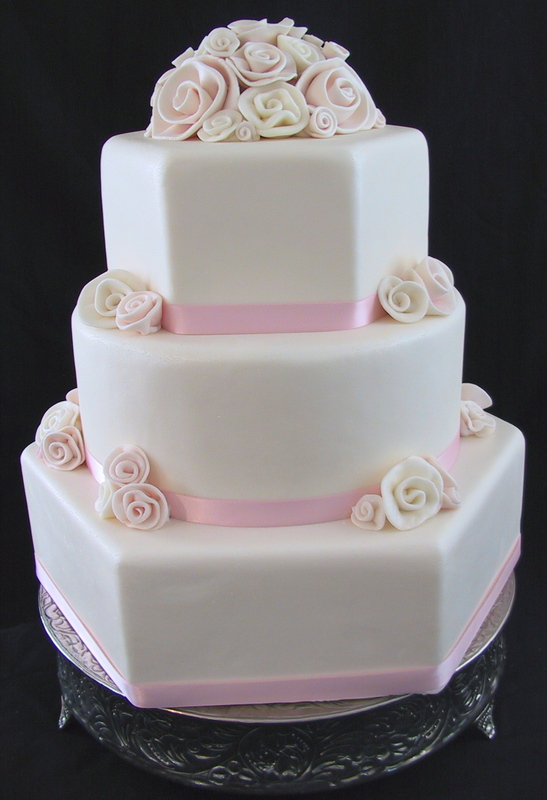 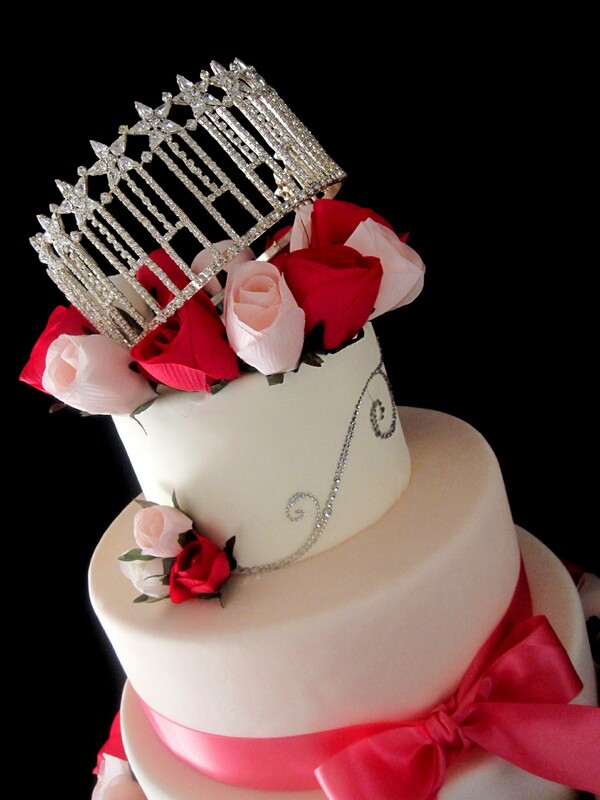 The cake is 3 tiers of white fondant that was pearlized to create a shimmer. 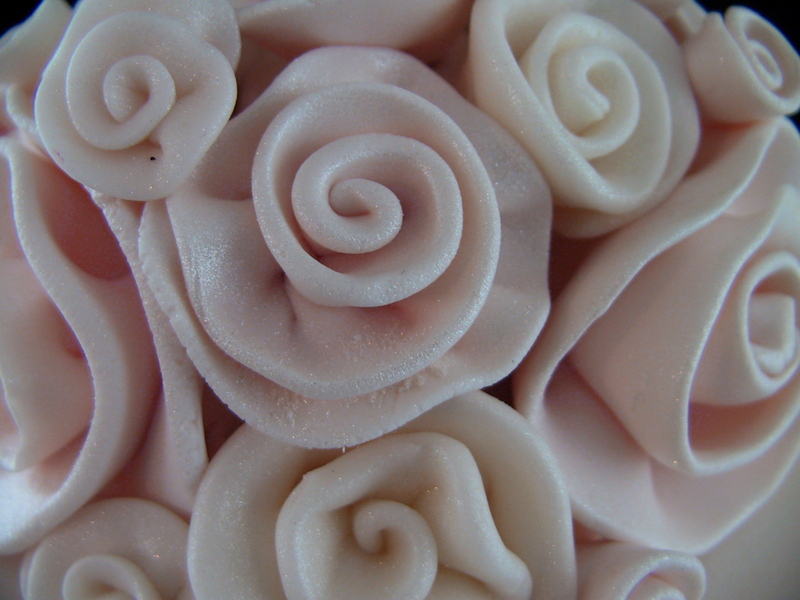 The rolled roses are white and a soft pink. 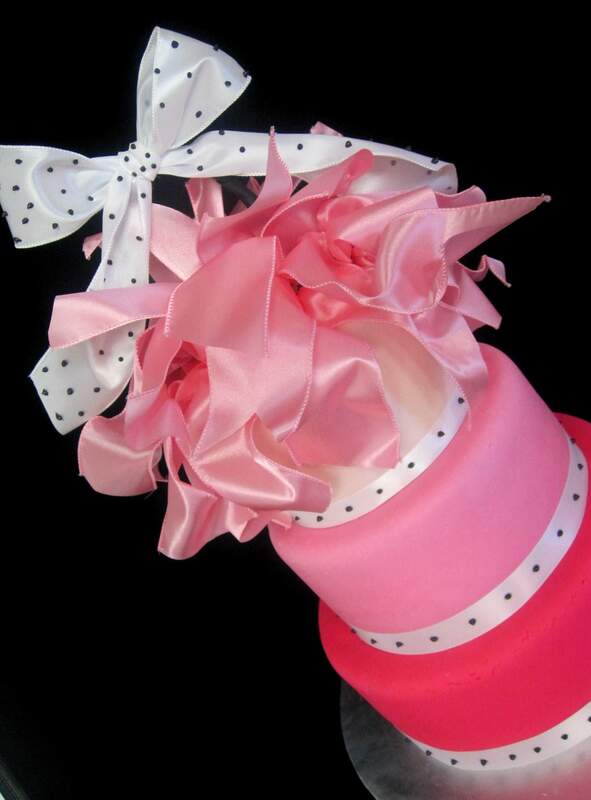 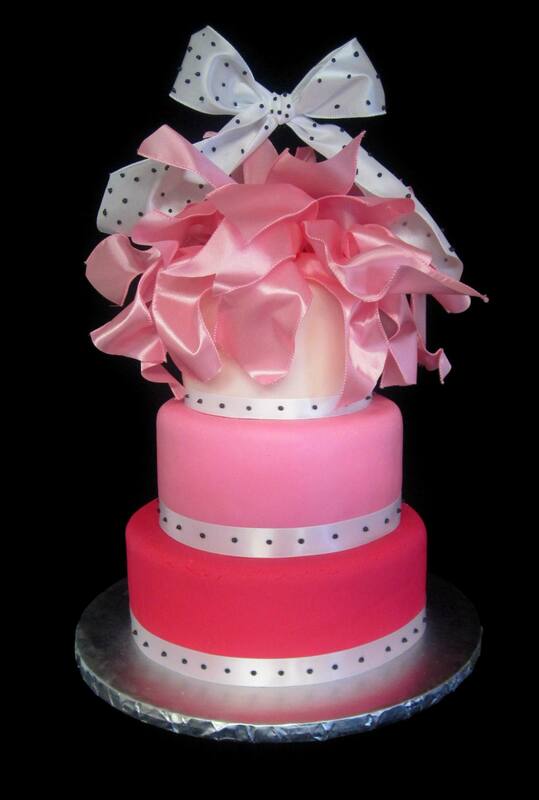 The tiers are accented with a pink satin ribbon. 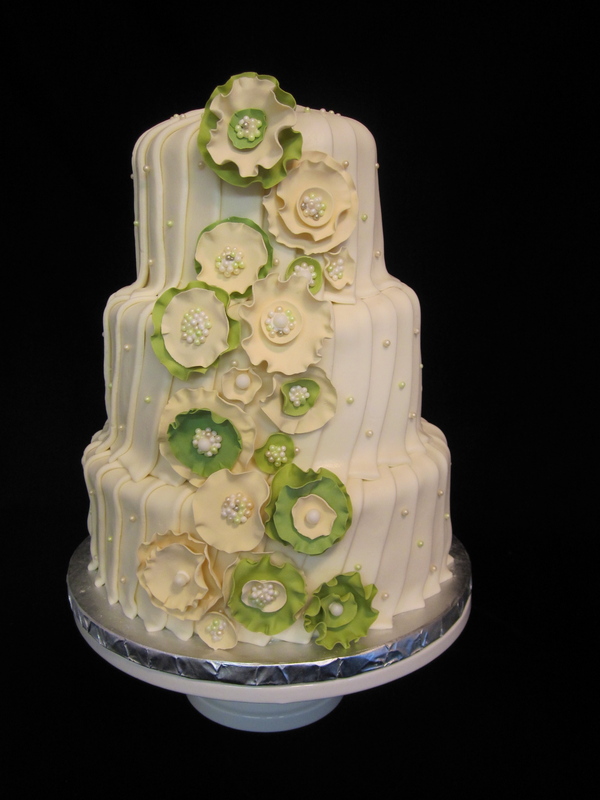 To add more interest to the cake the tiers were alternated with hexagon and round shapes.